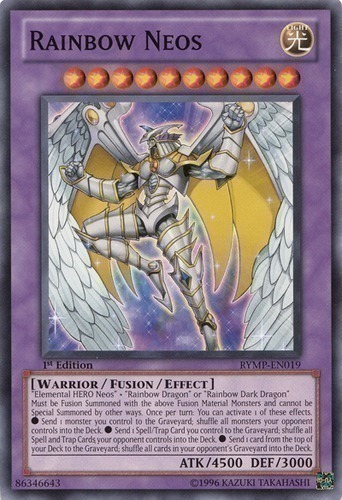 Must be Fusion Summoned with the above Fusion Material Monsters and cannot be Special Summoned by other ways. Once per turn: You can activate 1 of these effects. ● Send 1 monster you control to the Graveyard; shuffle all monsters your opponent controls into the Deck. ● Send 1 Spell/Trap Card you control to the Graveyard; shuffle all Spell and Trap Cards your opponent controls into the Deck. ● Send 1 card from the top of your Deck to the Graveyard; shuffle all cards in your opponent's Graveyard into the Deck.